The first-grade “HAMsters” at the Winn Brook school in Belmont will soon have a working antenna for a shack in their classroom, according to their teacher, Donna LaRoche. 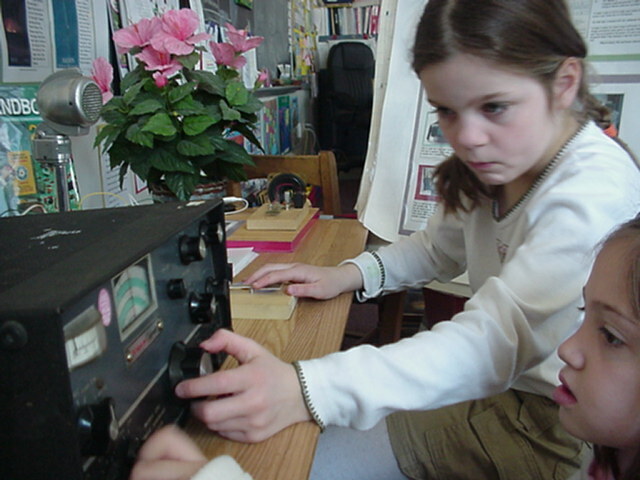 LaRoche, who is a member of the Framingham Amateur Radio Association, earned her ham ticket, KB1LWY, at a Boston ARC VE session in January, 2005. She made her first QSO on February 25, operating from W1AW. Appropriately, it was with Chuck, W1HIS. “Boy, was I excited!” Donna exclaims. 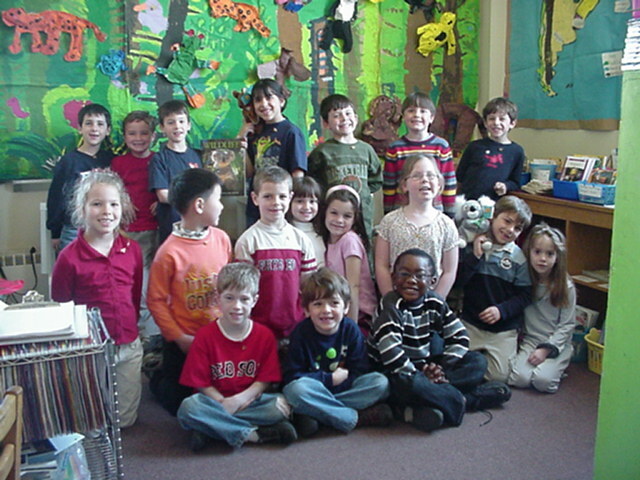 For more information about the HAMsters, visit their web site at http://www.belmont.k12.ma.us/class_pages/laroche/ham_radio/. We need people [this weekend, April 2]. Any volunteers? I can not run the show by myself. I need some club members to show up. Give me a call at 617-792-3126 or email me [at who_icrr@adelphia.net]. Eastern MA ARES members will participate in the upcoming TOPOFF 3 exercise sponsored by the Department of Homeland Security on April 4, according to Eastern MA Section Emergency Coordinator Rob Macedo, KD1CY. The Field Day planning season is well under way. And so the EMA Section Field Day Directory is being updated. But this requires input from the clubs, too. Please check your club’s listing — if you can confirm same as last year, or have changes, please drop us an email. Also, if you have prior years’ scores (or pictures) that aren’t reflected (or linked), drop us an email on that too. The Easton, MA amateur announced plans for the remote base system in Iraq almost six months ago. W7DXX obtained the call sign YI9DXX and identified a location to house the installation. Lamonica also recruited willing Iraqi amateurs to help maintain the remote base. It is with deepest sympathy that we announce the passing of Erla Schwarm, wife of long time Amateur Radio Operator Ed Schwarm NX1V and mother of the Norfolk County ARES District Emergency Coordinator Steve Schwarm W3EVE who passed away on Tuesday March 22, 2005. A memorial Service will be held on Wednesday March 30, 2005 at 2:00pm at the Federated Church in Hyannis, Ma. A scholarship fund for Teachers will be setup in Erla Schwarm’s name to be managed by Steve Schwarm’s church. The Pepperell Emergency Management Agency is seeking additional volunteers, according to Pepperell EMA Communications Officer David Peabody, N1MNX. “If you have the knowledge, or urge to learn, then you are welcome to join us,” states N1MNX. For further information or to volunteer, contact David Peabody at n1mnx@n1mnx.com or call 978-433-2577. Peabody can also be reached at P.O. Box 1309, Pepperell MA 01463-3309. HATV-stations get first refusals, but if gear is still available as of Monday at 2PM, any non-profits, schools, local access cable channels, etc can have certain gear for free. Organizations can come to ch-5 on Monday (March 28) from 3-6pm to look at what is available. Take it away that night. Price: Free. Item requests go not to me but directly to WCVB-TV Public Affairs Director Karen Holmes-Ward at 781-433-4037 or via email at kholmes@hearst.com . Specific equipment phone and email requests to Karen will be time-stamped on a first-come first-served basis. Requests can go in immediately and a commitment to remove the gear by Thursday is required. Additional gear is not shown as we are adding to the inventory hourly. The location of the Norwood ARC volunteer exams has changed, according to NARC’s Rick Cantin, AA1TI. “We are changing the location to the Savage Center, Room 210, at 275 Prospect Street in Norwood,” reports Cantin. Sessions are held the third Thursday of each month at 7:30 pm. Previously, exam sessions were held in the Willett Room of the Norwood Civic Center and at the Walpole Senior Center (May through August). For further information, contact Rick Cantin at aa1ti@aa1ti.org. Members of the Town of Taunton RACES routinely accept radiogram training messages from Massachusetts Emergency Managent Agency’s Region II Headquarters in Bridgewater for delivery to EMA Directors in Taunton, Whitman and other Region II towns and cities each first Monday of the month. 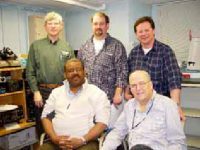 Shown at the City of Taunton Emergency Operations Center are (standing, left to right): George Pereira, KB1KZV; Don Burke, KB1LXH; and Peter Ferreira, KB1LXG; (seated, left to right:) Carlos Wharton WP4US; Bruce Hayden NI1X. Beginning today this web site supports an RSS version 2.0-compatible newsfeed for announcements appearing on the main page. Radio club web sites with the ability to import news feeds are welcome to incorporate our news stories onto their sites. Just point your favorite RSS newsreader program to: http://ares.ema.arrl.org/newsfeed.php. Please report any anomalies or bugs you might find. PARTers (and anyone else for that matter) are welcome to join any of the several email subscribed “lists” that we have to offer. These lists are email subscriptions to specialized topics. Some are hosted on the WB1GOF.org server and some are hosted with Yahoo Groups. Below are the lists that are available that are applicable to PARTers:PART-l@wb1gof.org – this list. It is the general PART/WB1GOF email list for announcing and discussions about general club activities and business. 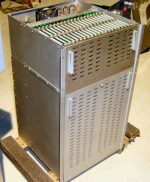 NCS-l@wb1gof.org – An email list for matters of the Sunday Night Net and other WB1GOF Net Control topics. SCAN-l@wb1gof.org – An email list where we have discussions about the scanner/scanning aspect of radio communications. MEMA_R1_WX@wb1gof.org – automated feed from NWS Taunton weather bulletins. You can combine multiple listserver commands in one message. You can send the word “help” as a command to get the full list of commands available to you. 1.) North Shore Massachusetts area. 5.) Central Hampden County Massachusetts area. There will be an Emergency Communications Workshop on Saturday April 2nd, 2005 from 9:00 AM-4:00 PM at the Ipswich High and Middle School in Ipswich, Massachusetts. This training will also feature a 1-hour lunch that will be provided at no coerced cost to any Amateur who attends the session. The presentations will be given by other Amateur Operators well versed in the topics listed above. The training will be a worthwhile endeavor not just for emergency communicators but for anyone who is an Amateur Radio Operator, and wants to learn more about the hobby. Preregistration is requested but is not required in case anyone would like to attend at the last minute. Please try to preregister by Monday March 28th, 2005 to assure the meeting place is setup properly and we have enough refreshments for breaks between lectures and for the lunch break. We will, however, accept any last minute preregistrations after that day or any walk-ins as long as space permits. The location of the Ipswich High and Middle School is 136 High Street which is also Route 1A/133, which is north of the center of town. Route 95 North off of Route 128. Take Route 133 East exit (Rowley). Stay on Route 133 and it will join Route 1A. Take a right onto Route 1A/133 South (East). Travel several miles and you will see the High/ Middle School on your right. The Performing Arts Center is on the right as you face the building. Take Route 95 or Route 1 South. Then take Route 133 east as described above. Take Route 128 North to Route 95 and follow above directions. Take Route 495 to either Route 128 North or to Route 133. You can also obtain good directions from Mapquest by entering your destination address as 136 High Street in Ipswich, Mass. There will be talk-in on the 145.49-Ipswich Repeater PL: 131.8. This training should be a worthwhile endeavor for anyone interested in learning more about emergency communications and amateur radio in general. The Sturdy Memorial Hospital ARC ARES Team conducted a simulated emergency exercise March 12 in conjunction with the Norton Emergency Management Agency. Norton EMA and Norton’s CERT Team decided to continue with the planned exercise despite the cancellation of the Eastern MA ARES simulated emergency test that day. In response to the simulated late winter ice storm, stations were set up at various locations, including a “base of operations” at the Norton Fire Deepartment, multiple simulated shelters and two mobile SSTV-equipped disaster assessment teams. K1VQ and W1TW operated WC1NOR at the Norton Emergency Operations Center. K2TGX acted as overall Incident Commander of the drill; N1FLO served as ARES Team Incident Commander. North Attleboro’s Fire Chief Peter Lamb, N1NVE, was on the air with SSTV video and APRS text messages from North Attleboro’s EOC. KB1DRL activated W1SMH at Sturdy Memorial Hospital in Attleboro. He acted as a liaison to the hospital’s Emergency Department. N1IV and KA1IG operated the Plainville and North Attleboro EOC/RACES stations, respectively. N1UMJ checked in from Taunton and handled simulated traffic to Massachusetts Emergency Management Agency’s Region 2 Headquarters. KA1EWN operated as Disaster Assessment Mobile 1 and N1SEC operated as Disaster Assessment Mobile 2. Both sent SSTV pictures back to Norton’s EOC. N1MPT set up a mock shelter at Norton Middle School and handled head count traffic as well as mutual aid requests for shelter support. The exercise, which lasted for approximately 80 minutes, was cut short when the National Weather Service issued a genuine winter storm warning. The exercise served as excellent practice for all involved. Norwood ARC members featured in the video include: N1OEF, W1ZSA, N1UEC, WA1MZJ and K1BFD. Devine says the club will be receiving a copy of the finished product. It has also received permission to redistribute the video to members, and to make it available on the club’s web site as streaming video. An EMA amateur participated in the annual Courage Center Handiham’s California Radio Camp. Phil Temples, K9HI was invited for the fifth straight year to attend the event, held Feb. 28-March 5, 2005 at the Joan Mier Camp near Malibu, California. The radio camp draws volunteers, staff and campers from across the United States and Canada. Campers who are blind, who suffer from brain injuries, or diseases that affect their mobility study for their Technician, General and Extra licenses in a safe and supportive class room environment. Morse code mentors work with those who wish to learn or improve upon their code skills. The camp established five different simulated “emergency” stations on 2 meters, including a Salvation Army canteen truck, and a Red Cross Shelter. In addition, a real station was set up next door at the Ventura County Fire Department. Well-known ham instructor Gordon West, WB6NOA, was on hand to assist the campers at one operating position. “We introduced a number of realistic scenerios into the script, including intentional interference,” Temples said. The Courage Center Handiham program runs an identical radio camp in the late summer at Camp Courage North near Bemidji, Minnesota. In addition to its highly successful radio camps, the program provides equipment and audio materials for blind hams. (See also N1BLF CD Recordings For The Blind.) For additional information about the Courage Center Handiham program, visit http://www.handiham.org. The scouting activities aboard the USS Salem in Quincy are in danger of collapse. This, according to Harold “Pi” Pugh, K1RV, in the wake of the resignation of USS Salem Scout Coordinator “JC” Cunningham, W1AI. Pugh stated the group now has an “immediate need” for someone to step forward to become the new Scouting Coordinator. He added that the group can give the next coordinator all the training he or she needs to get started. Amateurs in Eastern MA are encouraged to forward this message to anyone who might be interested in salvaging the USS Salem’s Overnight Scouting Program.